Listen to the sound of a running stream and small waterfalls as they invite you to a unique experience in one of the Central Coast’s finest bed and breakfast inns, the Italian Abella Garden Inn. Exchange vows in our luscious garden amidst the fresh air surrounded by year-round bloom, with the lull of waterfalls in the midst. Step out from our lovely sun-lit parlor past the pond into our intimate butterfly garden where hydrangeas, salvia, delphinium and lavender delight the senses. Sip a cup of tea or coffee on the romantic gazebo as you watch the many varieties of roses grow. Located near the historic village of Arroyo Grande known for its Swinging Bridge, the only one of its kind in California, first built by rope in the 1880’s, the Inn is two miles to Pismo Beach, and only 15 minutes from historic San Luis Obispo. Abella means “beautiful” in Italian, and the extraordinary Abella Garden Inn features seven garden-theme rooms; select suites include in-room spa and fireplace. All have feather bed, down comforter, seating areas, and cozy robes. Guests are treated to a cooked-to-order, full gourmet breakfast, evening reception of Central Coast Italian varietal wines, teas, homemade Italian appetizers, and bed turndown service. If your heart desires a brisk walk on the beach, a tour of the fabulous Hearst Castle, a stroll through the historic village of Arroyo Grande, or a day enjoying the beautiful Central Coast Wine Country, our experienced innkeepers will arrange and/or provide you with information to make your adventure exquisite. Your stay at Abella Garden Inn assures you that you will feel at home and pampered while surrounded by beauty. 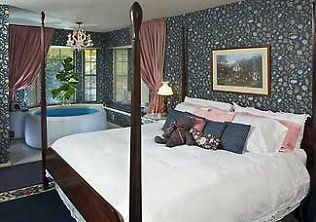 This and other San Luis Obispo Bed and Breakfast Inns can be found here in The Register. 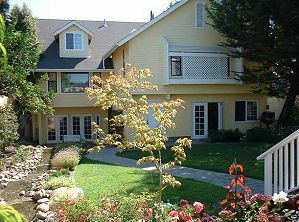 Romantic Country Inns, Getaways and B&Bs offer a great Arroyo Grande lodging alternative to big hotels.